I’m on a quest to find flavorful dishes that are easy on my waistline, and came across this shrimp recipe on the Epicurious website. 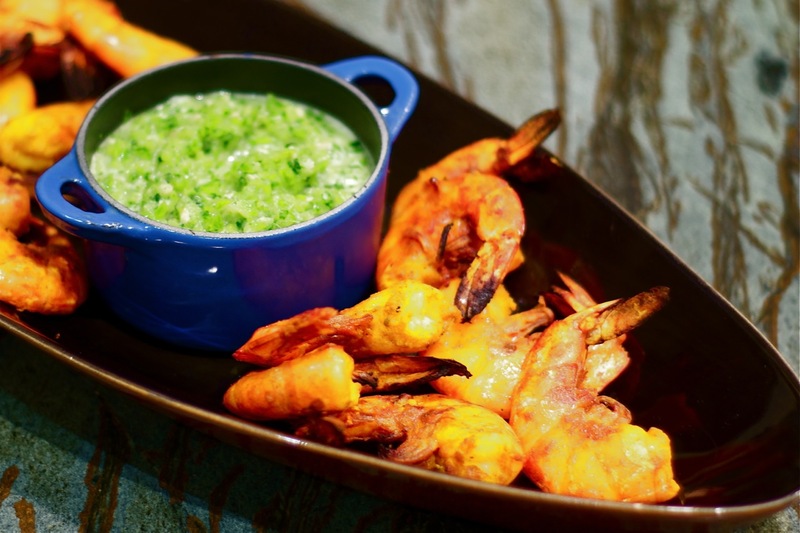 The shrimp are grilled and served alongside a chile, cilantro and lime dipping sauce. My Latin market, Baja Ranch, didn’t have red Anaheim chiles (what’s up with that??!!!) but the green ones worked great. I piled the peppers with fresh chunks of ginger, cilantro, a serious amount of garlic cloves, fish sauce and a couple tablespoons of oil into my food processor and a few pulses later, the dipping sauce was done. Several reviews suggested using half as much fish sauce as the recipe called for, so I went with this plan. Another great suggestion in the reviews was to serve the shrimp alongside an Asian slaw. I snagged this recipe from Epicurious, as well. 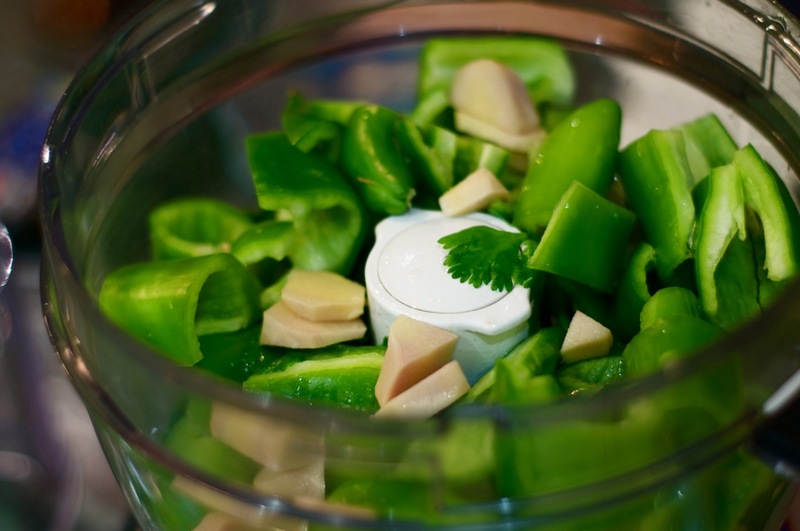 The snap peas and red pepper really jazzed it up, and this was super easy to make. Whisk first 5 ingredients in medium bowl to blend. Season with salt and pepper. 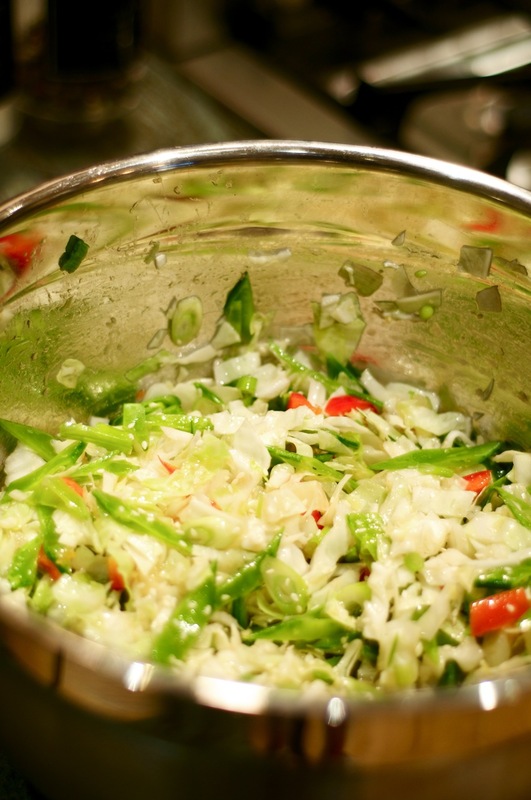 Mix cabbage and remaining ingredients in large bowl. Toss with enough dressing to coat. Season with salt and pepper. I was at a party a few years ago and had these jalapeno poppers for the first time. Friends of ours were hosting a dinner to benefit the organization my husband works for, Lake Avenue Community Foundation, and … talk about the “hostess with the most-est” … Robin knows how to do DO IT RIGHT! She and her close friend Jackie have a fun blog … check it out here. These poppers are absolutely delicious, and totally work if you’re going low-carb. 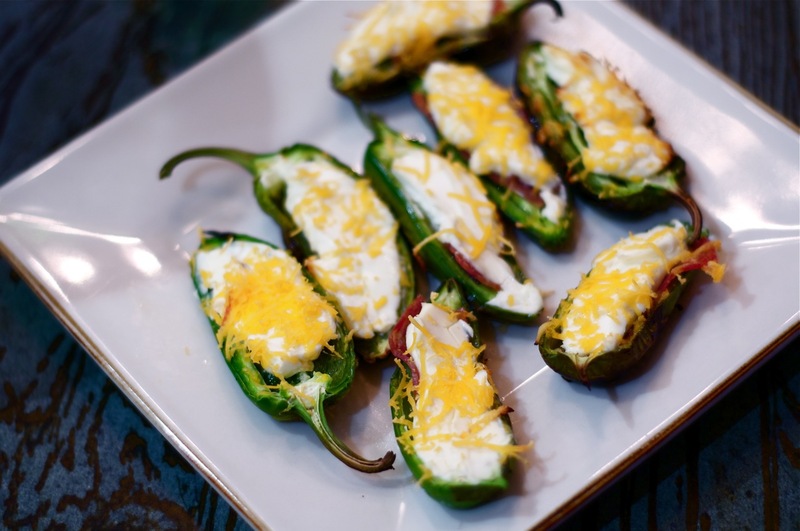 Slice jalapeno peppers lengthwise, remove the membrane and seeds, place a slice of good quality dry salami in the pepper, spread cream cheese on top of salami, and top with grated sharp cheddar. (I used reduced-fat cream cheese and cheddar.) Grill on a barbecue until the pepper is soft, charred a little, and the cream cheese is gooey and delicious. These taste even better if you cook in a smoker rather than BBQ, so if you have one, definitely use it!